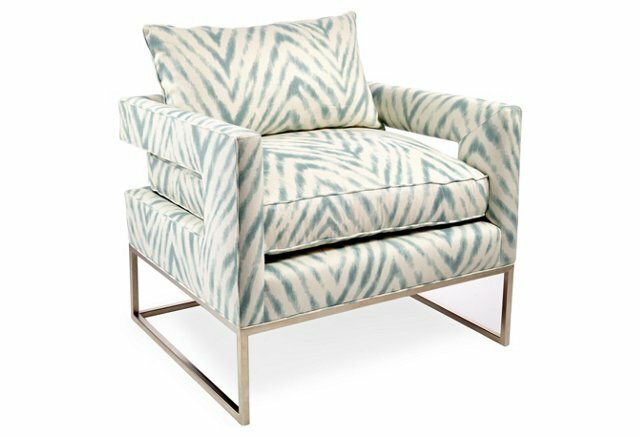 As we celebrated Modernism Week in Palm Springs recently, the Jigsaw Design team found themselves inspired with countless design ideas. 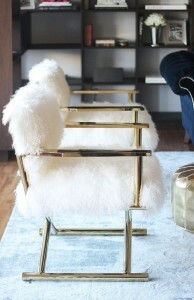 One lovely vintage settee was the inspiration for this particular post, however. While happening upon a lovely booth filled with antique chairs trimmed in gold with chartreuse green and gold seats, charcoal painted walls, completed with gold leaf vintage table with turquoise blown glass tea set, our minds were lead to revel in the many things we loved about this look. 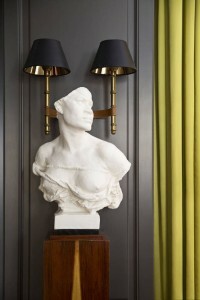 While the chartreuse and gold felt bold and glamours, the combination seemed somehow, light. When paired with a charcoal background it suddenly felt as if you’d gone back in time; an authentic retro vibe, however remaining quite modern. Hence fueling our need to seek out more of this captivating color combination. Being the ideal room to play up drama, the dining room makes for the perfect spot to experiment with this tantalizing trio. 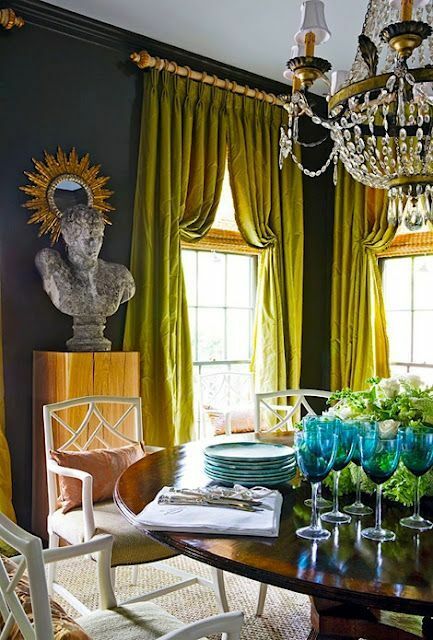 This dining room is a perfect example of drama with a touch of academia. Charcoal walls draped velvet chartreuse curtains on gold rods. 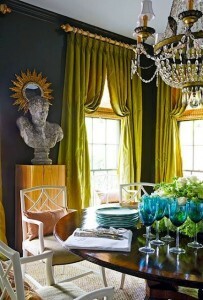 The vintage chandelier and bust finish off the look for one spectacular dining room. Make your sitting room a tad more provocative to inspire real conversation! 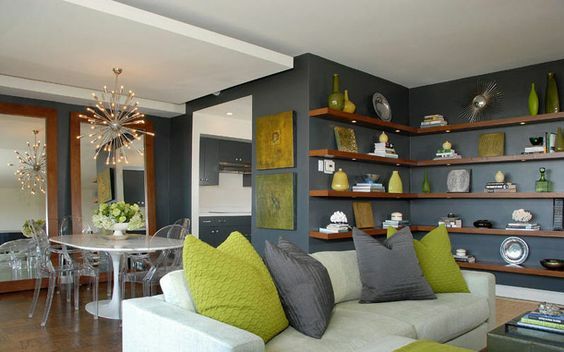 Dark charcoal narrow shelves in this space create a perfectly curated art gallery that sets the stage for the chartreuse love seat to really pop. 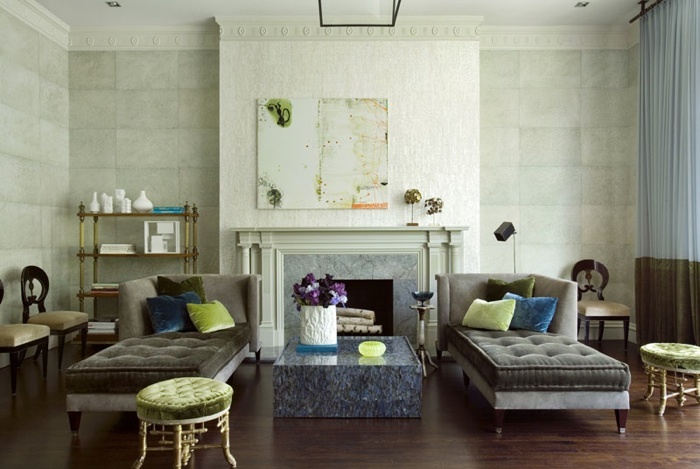 On a more subtle level, try adding a few chartreuse throw pillows onto a dark grey sofa like the pair of dark grey chaise lounges in the image below. 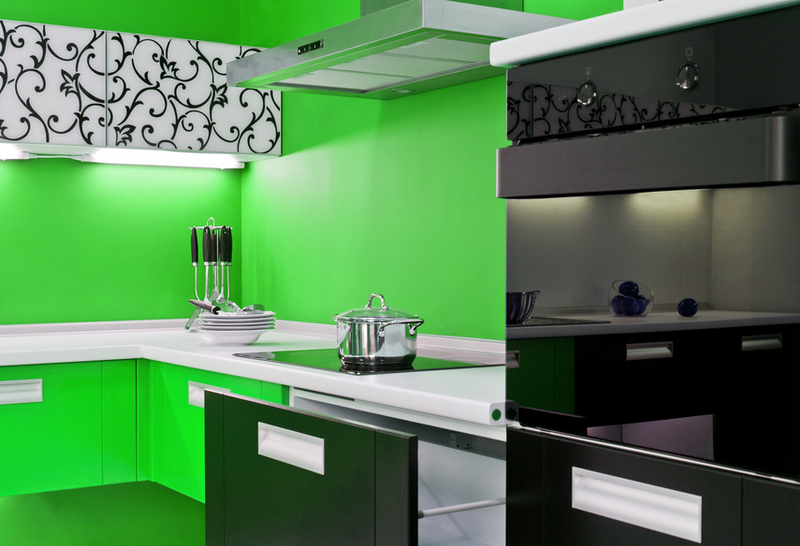 The bright green resembling life and newness is lovely choice for the kitchen. 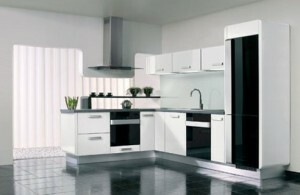 It is made modern when paired with grey cabinets and dining table. 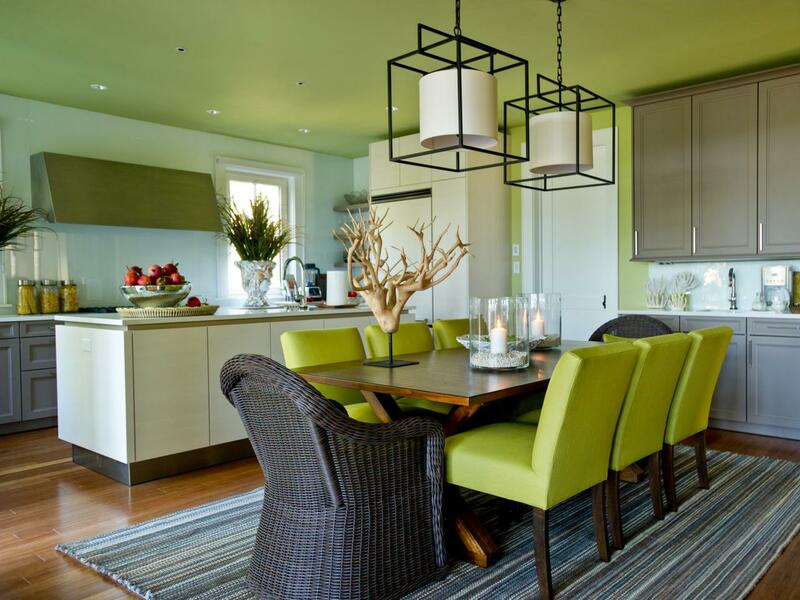 The Jigsaw team loves using an accent color on the ceiling like seen in the image below. It gives the refreshing feeling of green without making the whole room green. 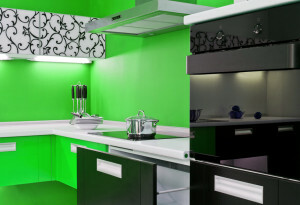 For more information on color trends or the images featured in this post, simply leave a comment or visit the contact page on the Jigsaw Design Group website at www.jigsawdesigngroup.com. Someone will quickly contact you with more information. Please subscribe to the blog for more informative articles like these, and check out our Facebook page for more tips and images! Be sure to ‘like us’ on Facebook! Now join us on Googleplus too! 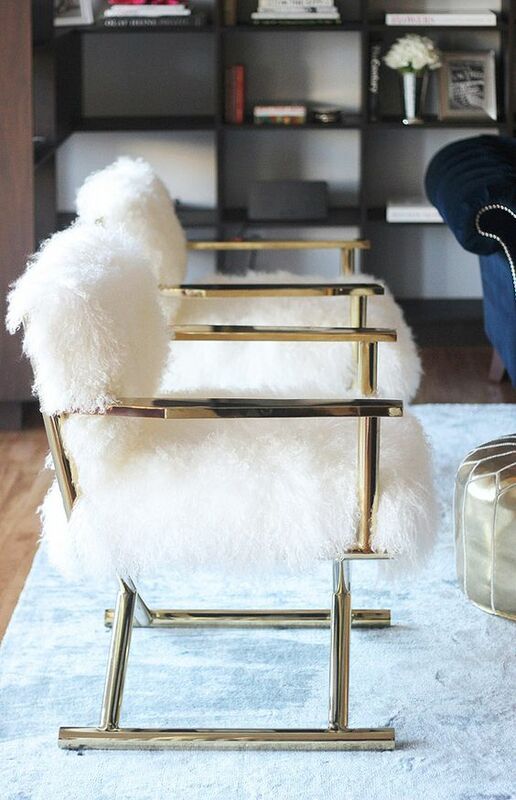 Spring is about to blossom and that leaves some us desiring a little refresher to our abode. 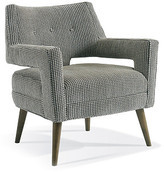 Updating with an accent chair or two can be just the game changer you are looking for. 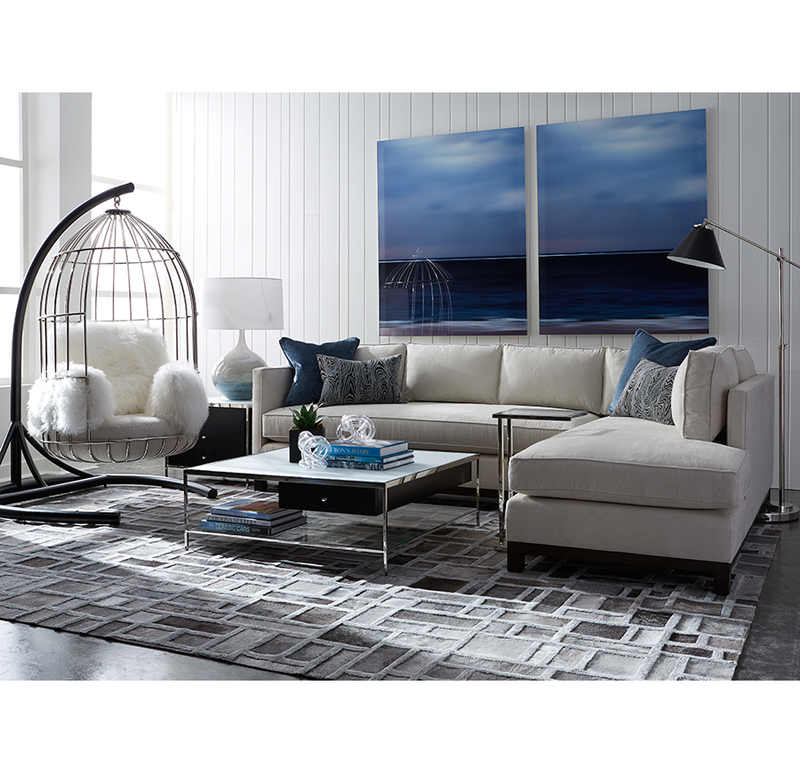 The birdcage chair above by Mitchell & Gold called the Bastille chair (for obvious reasons) could just the right change you need; featured here in a metal cage of stainless steel with Tibetan fur. In this post we will highlight some of the top trend elements to look for when you start your search. 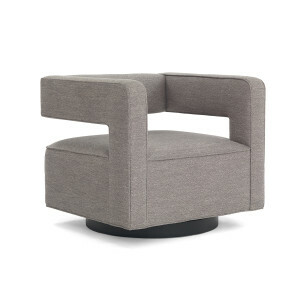 Trend #1-The Swivel Chair. Jonathan Adler hit the nail on the head when depicting the Studio 54 era vibe of the Louche chair in velvet…really…could we love this chair more? 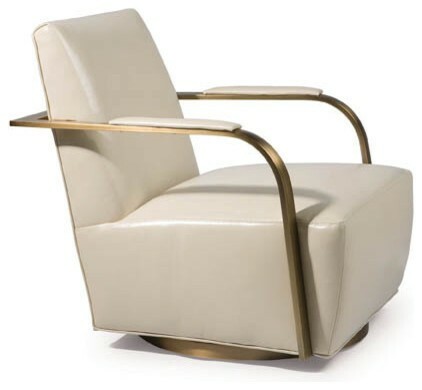 The Thayer Coggin swivel below is a bit barber-shop-meets-automobile and we are loving it for its proportion and matte gold mixed with cream leather. 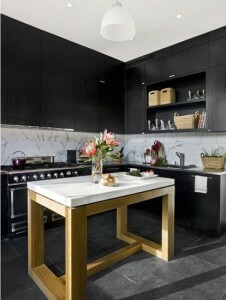 A trend we reported on last year was about a surge in lucite (aka acrylic) options in the marketplace. While the trend is going strong in traditional clear, we are seeing the color morph into a smokey color that is so hot. 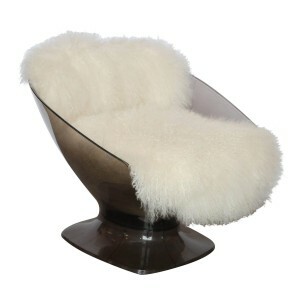 For example the Raphael Lucite and Sheepskin chair or the Smokey Lucite swivel from the aforementioned Mitchell & Gold. 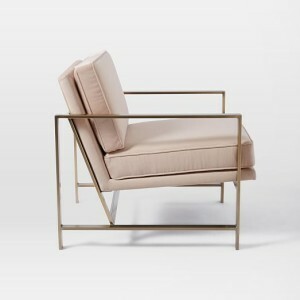 Another trend to explore is the metal framed chair. Sleek and polished to high shine screams Yves Saint Laurent luxe life. Style and price run the gamut, but less is more with this style shifting focus on the frame. 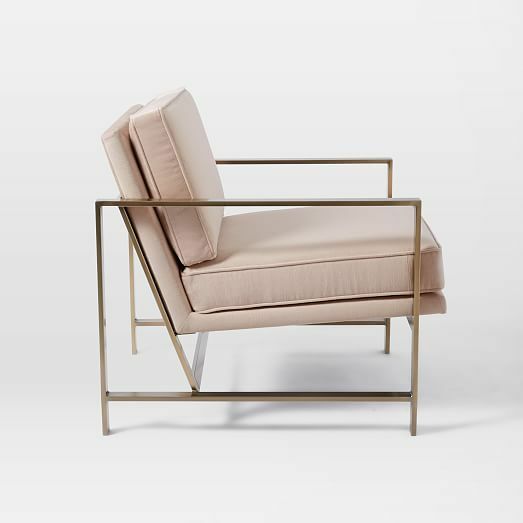 Shown here in graphite with stainless, Mongolian sheep skin, and also a blush velvet and gold metal by West Elm priced very reasonably $599! 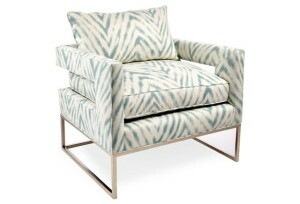 Mix the modern frame with a luxe fabric for glam chic style. 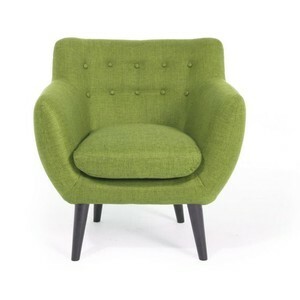 Cut-out shapes are styles straight out of the 60’s; from backless, to arm rest cut-outs the look has a vintage-fresh vibe. Keep it in present decade with menswear upholstery or simple neutrals to keep the look interesting and not distracting to eye. 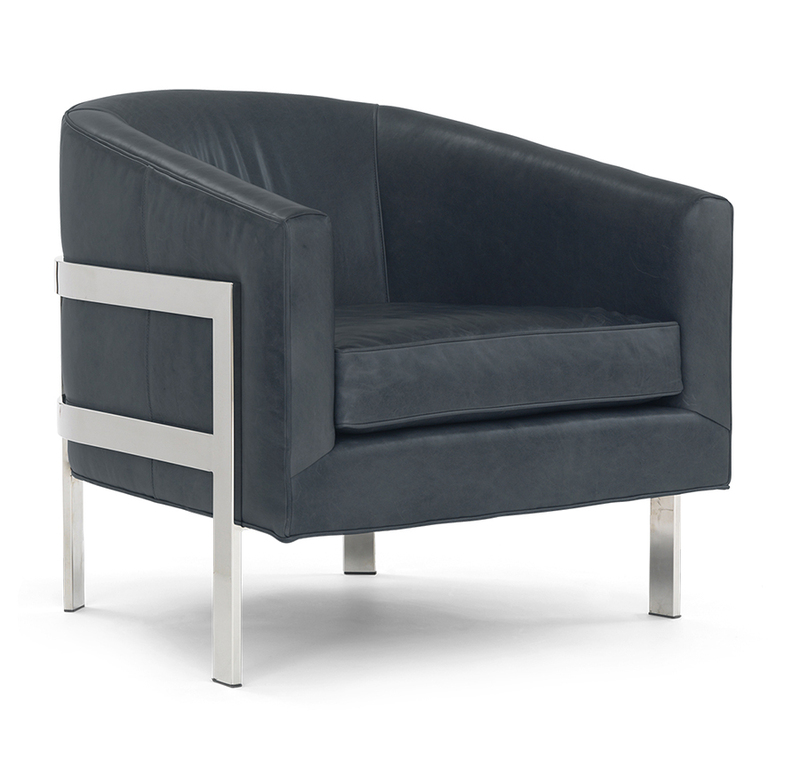 The accent chair is meant to be a stand out item so you can step outside of your comfort zone a little and have some fun with it. 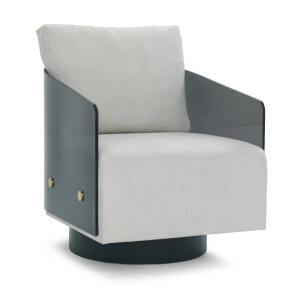 For more information on accent chair trends or the styles featured in this post, simply leave a comment or visit the contact page on the Jigsaw Design Group website at www.jigsawdesigngroup.com. Someone will quickly contact you with more information. Please subscribe to the blog for more informative articles like these, and check out our Facebook page for more tips and images! Be sure to ‘like us’ on Facebook! Now join us on Googleplus too! 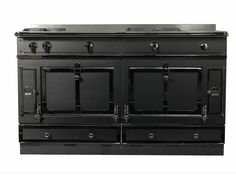 While once chic as your Nagel painting and black lacquer furniture, the not-so- 80’s black kitchen appliance is back with a vengeance. No better way to celebrate the revival than with this black beauty- Le Cornue Grand Palais 180 (see our blog on Luxury Stoves for all the details). 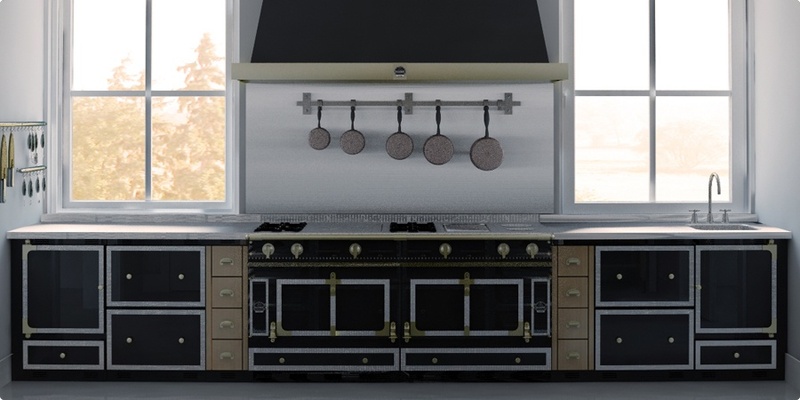 These ovens are custom made to your taste, black on black, black with silver/gold/or rose gold trim, you name it they will make it for you. 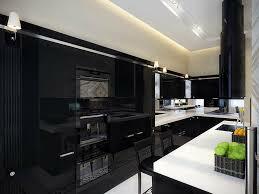 One can also feel like a celebrity chef with a black Bertazzoni as well. 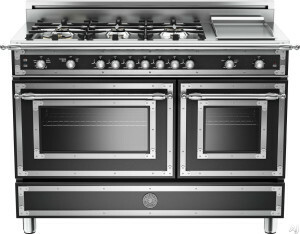 This baby will set you back $10K but with it’s modern lines and trim details your kitchen will wow. Every girl loves a little gloss! 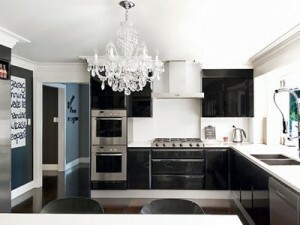 Black gloss cabinets and appliances in a white kitchen create a sleek statement. Black appliances definitely make the most sense but are not limited to more modern kitchens or kitchens with darker or even black cabinets. 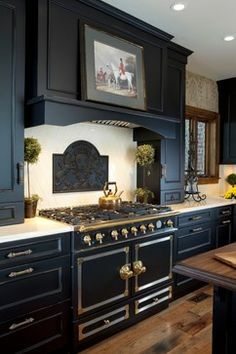 The Jigsaw designer love pairing all black kitchen cabinets and appliances with white countertops like in following photo. 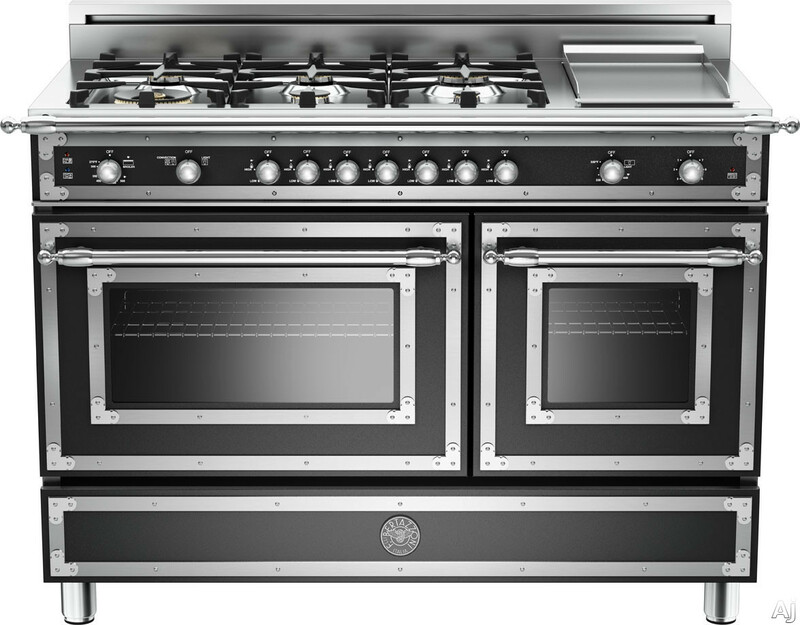 Samsung has a black stainless steel collection that is smudge resistant and has a very updated texture and tone. 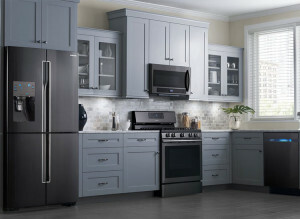 This finish is available in their higher price point models of refrigerators, ranges, dishwasher and microwaves. 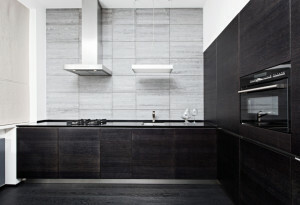 Its matte black stainless look works well with grey cabinets and light grey back splash as seen in the following image. The big question is, will black appliances become the stainless steel we all have today? Only time can tell. 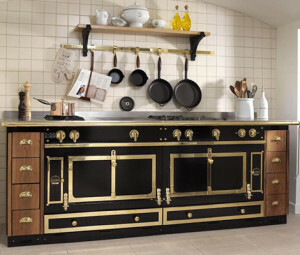 Maybe if companies will add some details, trims and finishes to the high end european brands like Le Cornue then the market will broaden. 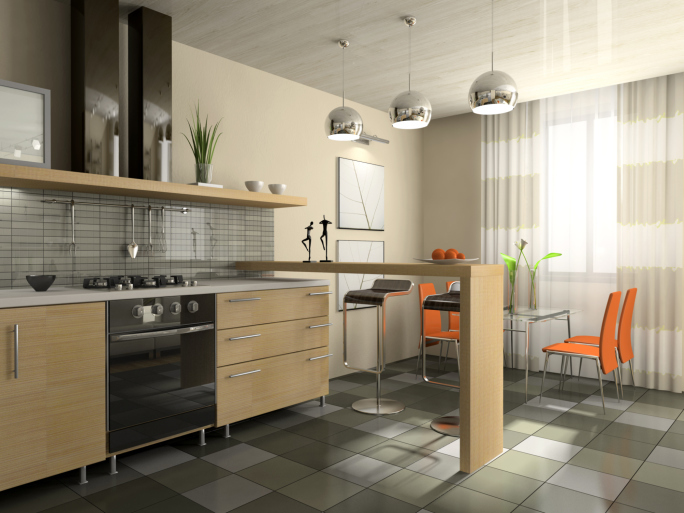 Let’s face it, some of us enjoy a bit more detail in our space and adding a little flair to the over simplified options we have now, this market segment will grow. 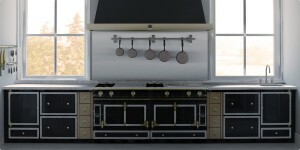 For more information on appliance trends and resources visit the contact page on the Jigsaw Design Group website at www.jigsawdesigngroup.com. Someone will quickly contact you with more information. Please subscribe to the blog for more informative articles like these, and check out our Facebook page for more tips and images! Be sure to ‘like us’ on Facebook! Now join us on Googleplus too!